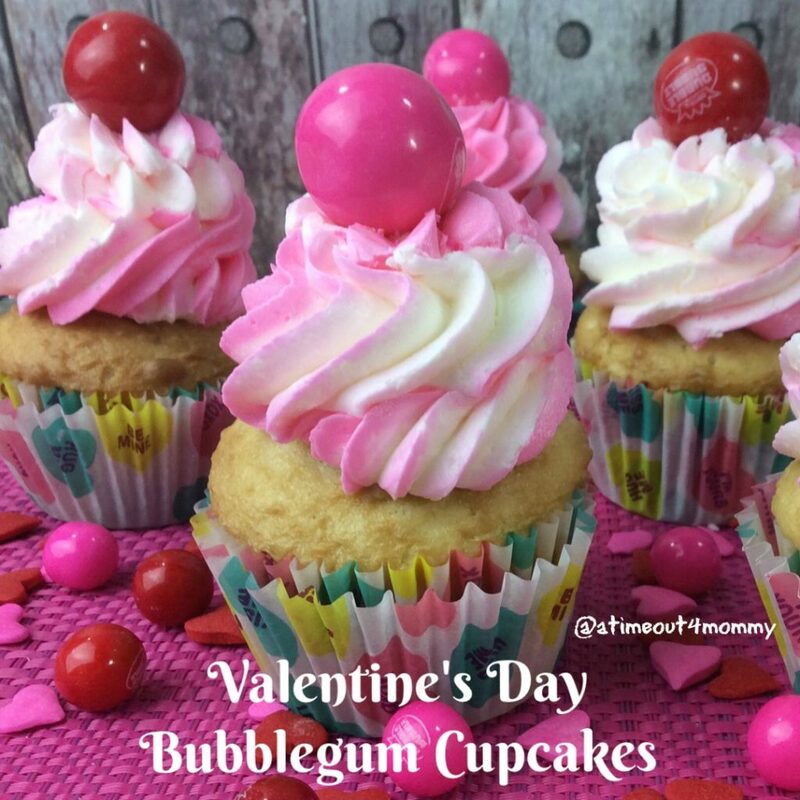 Valentine’s Day is just around the corner and what would be better than baking up some yummy bubble gum cupcakes with the kids? Those large gum balls always give me a sense of nostalgia from my childhood, and to this day I get excited when I see a gumball machine. These cupcakes are adorable, and easy to make with fresh ingredients. If your child is too young for gumballs, you can eliminate it from the top and enjoy the vibrant pink swirls in the frosting. 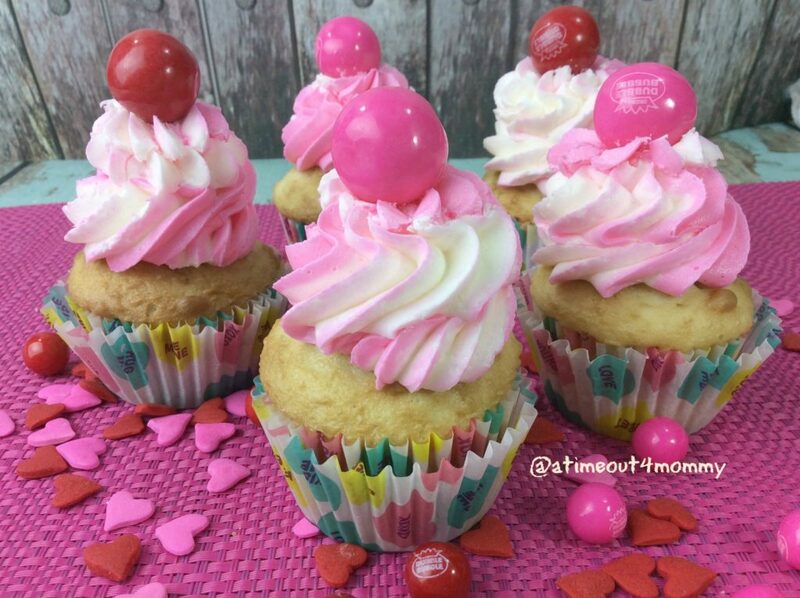 These Valentine’s Cupcakes can be made for a themed playdate or for your child’s class. Add your whipping cream to your bowl beat your whipping cream until soft peaks form. Scrape it into another bowl and place it in the fridge. Line 2 cupcake pans with cupcake liner. Rinse out the mixing bowl you used for whipping cream. Add your butter and sugar and set your mixer to medium until it’s very creamy, about 5 minutes. Whisk together the milk, vanilla and egg whites in another bowl. With the mixer set to medium, add the flour mixture and milk mixture. Switching 1/4 of each mix until all has been added. Make sure you start and finish with the flour mixture. Pour the Bubblegum flavor packet into the mixer. Then continue mixing on medium for 2 minutes. Lastly, fold the whipped cream into the cake batter. Fill your cupcake liners about 2/3 full. Then, bake until a toothpick comes out clean or with a few crumbs. It’s about 15-16 minutes.